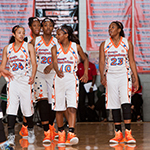 The Georgia Hoopstars concluded another successful campaign on the travel circuit. Coach JD Davis’ group competed on the biggest stages in front of hundreds of college coaches which provided invaluable exposure for his players from the Metro-Atlanta area. Here is the rundown on this year’s season. 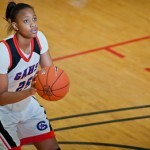 Kianna Holland played for the Georgia Hoopstars in front of packed crowds at PeachStateBasketball.com events. 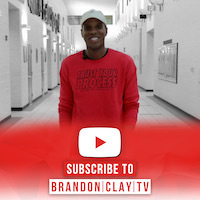 There are several former Hoopstars achieving success at the next level. Kaliyah Mitchell enters her junior year at Penn State after earning Academic All-Big Ten honors last season. She also led the Lady Lions in rebounds (7.0) per game while also averaging 8.3 points per game. Breanna Richardson also enters her junior year at Mississippi State after starting 14 games for coach Vic Schaefer. She averaged 8.4 points and 5.7 rebounds per game last season. She also was named to the SEC All-Freshman Team two seasons ago. Also keep an eye on Kiana Holland who will finally get her chance to suit up for the Buckeyes at Ohio State. After transferring from Duke and being medically red-shirted another year, she enters her third year of college but is just a freshman with her eligibility. 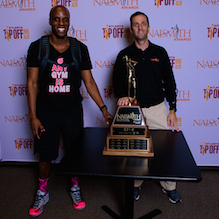 Coach JD Davis first got into the girls grassroots basketball when his daughter, Sparkle, began competing in 1995. 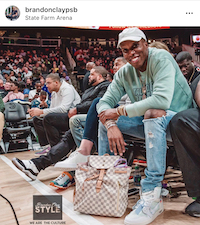 Through the process of helping Sparkle sign with Auburn out of high school, coach Davis realized that he could help other players in the future. 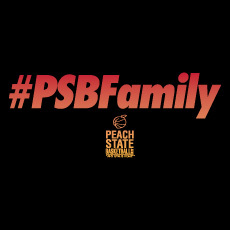 In 2002 Davis created the Georgia Hoopstars and joined the #PSBFamily in 2006. 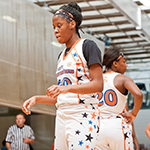 Add 6-foot-5 center Faustine Aifuwa of Dacula, Ga., to the list of Hoopstar alumnae that will play on television in future years. Aifuwa recently gave her verbal commitment to coach Nikki Fargas at LSU. The No. 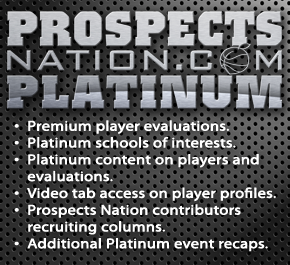 91 ranked player in the class of 2016 became one of the most pursued prospects nationally. Her ability to block or alter shots in the lane will give Aifuwa an opportunity to contribute immediately in Baton Rouge. Her offensive output is on a steady incline in recent evaluations. 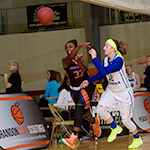 Point guard Tyra Johnson of Decatur, Ala., joined the Hoopstars this season. Johnson and Aifuwa made one of the most formidable inside-out combinations nationwide. Johnson, who is ranked No. 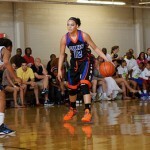 117 per ProspectsNation.com, gave her verbal commitment to Auburn University this fall. Her play-making ability was first seen at the #CoachHemiShowcase in March of 2014. Since then, Johnson solidified her reputation as a point guard who can put up numbers with the ball in her hands. 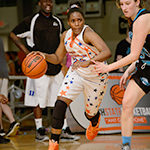 Other standouts from this year’s season with the Hoopstars included class of 2016 post Kamera Harris of Hampton, Ga. The 6-2 post player is one of the best available post players in the Southeast. The Harris and Aifuwa combo along the front-line made it impossible for teams to get a clean look inside. 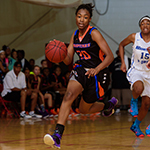 Guard Jonnae Johnson of Dacula, Ga., could be considered the engine of the Hoopstars back court. 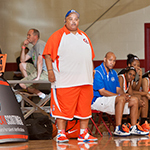 Her constant energy on both ends of the floor made her a favorite of ProspectsNation.com evaluators. 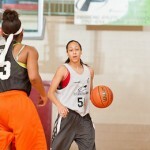 Also point guard Jazmine Smith of Lawrenceville, Ga., had a solid season with coach Davis’ group. Her leadership and ball handling gave her several looks from college coaches this summer. Guards Tamecia Blue of Dutchtown, Ga., and Kiersten Hunter of Lilburn, Ga., gave the Hoopstars plenty of depth as ball handlers and defenders. 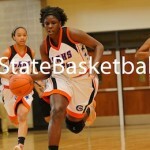 Christina Massey of Snellville, Ga., is one of the top available forwards in Gwinnett County. 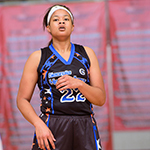 At 6-1 she has length, athleticism and projects as a versatile forward at the next level. Finally, senior Sydney Fields of Ga., was a late addition to the roster for the fall weekend. 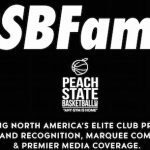 Her athleticism showed very brightly on the big stage at the #PSBEndoftheRoad, which resulted in a scholarship offer from Florida International University. She accepted that offer a few weeks later. The Hoopstars have a roster loaded with talent for the future. 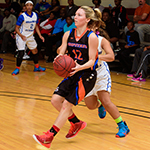 The class of 2017 features guards Tatum McQuillen of Gainseville, Ga., and Abbie Franklin of Homer, Ga., who both had solid performances on the fall evaluation weekend. Add in forward Alex Bolling and Alaina Bock both of Dacula, Ga., and coach Davis’ team should have plenty of size along the frontline. Coach Davis was particularly excited about the 2018 additions in Jah’Che Whitfield and Destinee Jordan both of Columbia, S.C., who bring athleticism and play-making to the roster. 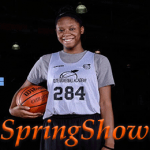 Finally, the Hoopstars having a budding star in Kimia Carter of Chattanooga, Tenn., in the class of 2019. 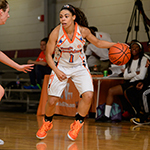 Her size and athleticism at a young age have her the radar as a must-track guard in the region.